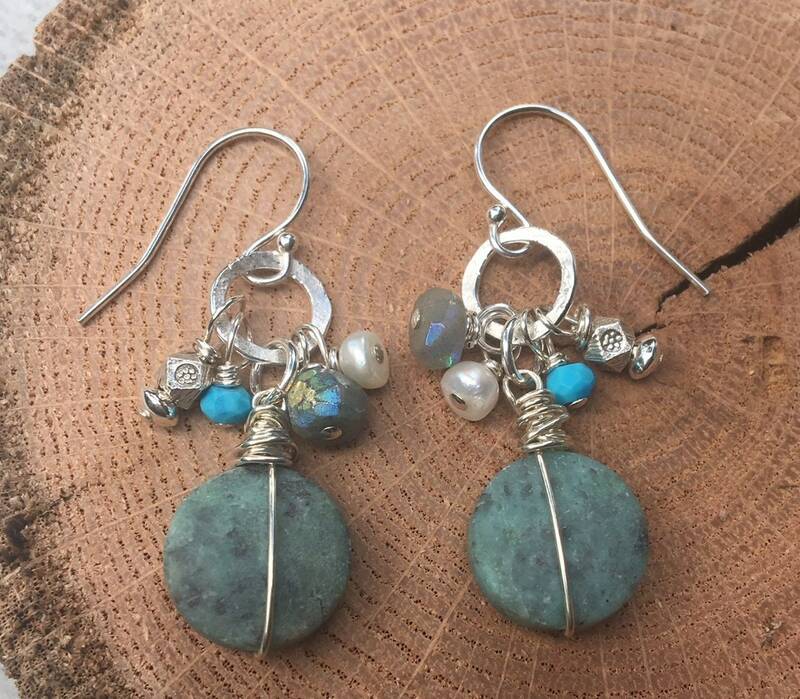 These African Turquoise gems have a matte finish. This finish is more subtle than the polished finish on many stones. 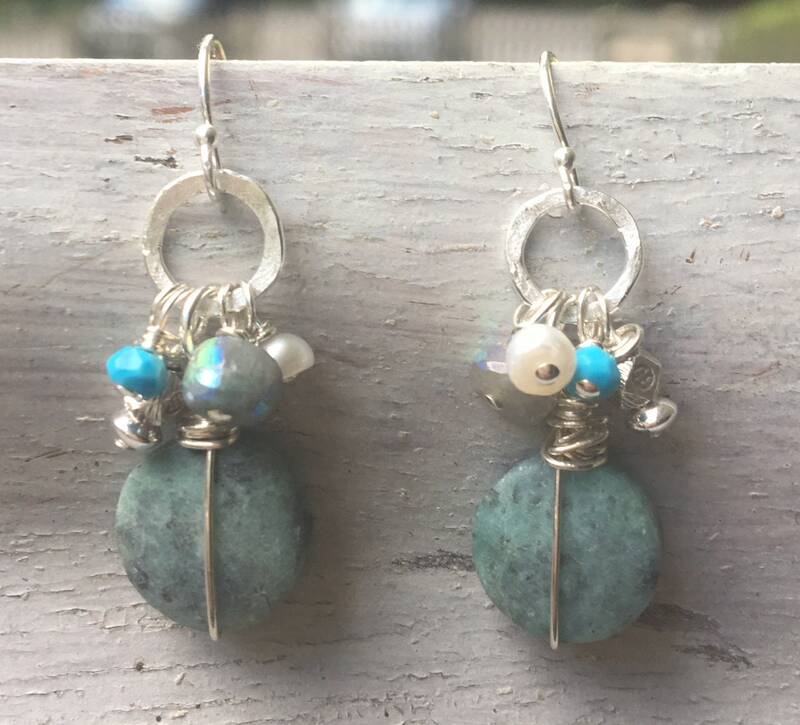 I hand wrapped sterling silver wire on each round shaped stone. I then added freshwater pearls, genuine Turquoise, Mystic Chrysocolla, & Karen Hill Tribe beads. The top sterling circle is hammered by hand. The entire earring is sterling silver. 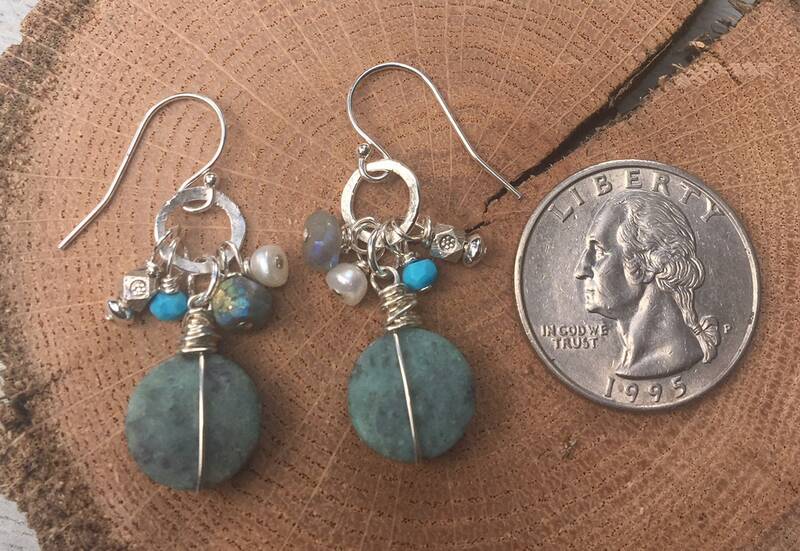 These earrings measure 1 1/2" long from the top of the wire to the bottom of the African Turquoise gem.